Caution: This post contains minor spoilers from "Game of Thrones" and "A Song of Ice and Fire." 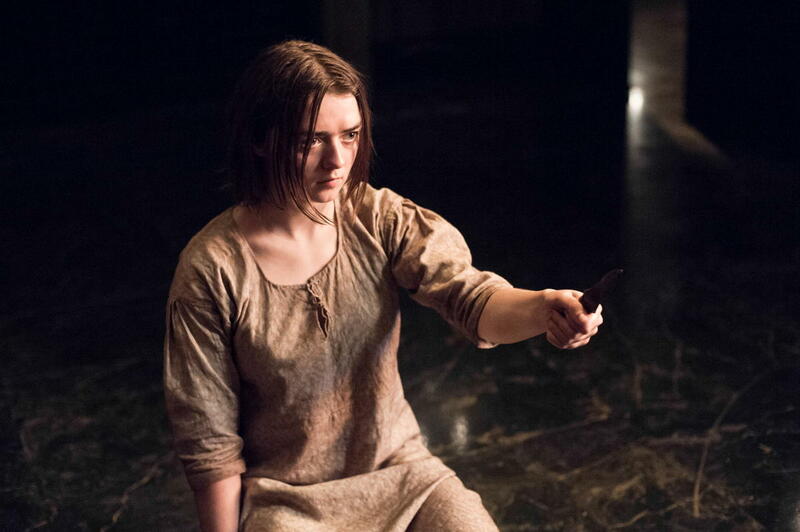 Still reeling from Sunday's season 5 finale of "Game Of Thrones"? Understandable. It was brutal! One mental exercise useful during every traumatic episode of the show or moment in George R.R. Martin's book series, "A Song of Ice and Fire," is to remind yourself that Westeros, and the people living there, are not real. It's all fiction! Nothing happening on the screen or page actually happened to a living human. This is easy, of course, when there are dragons or White Walkers on screen. Yet Martin has made it clear that he did use historical events, people and places as the inspiration for some of his world. With that in mind, we at The Huffington Post decided to play a fun little game: If Westeros did exist, what real world countries would correspond to each of the Seven Kingdoms? This was not a completely straightforward exercise. One obvious question: Does Westeros represent Great Britain or Europe? It's shaped like Great Britain. (Or, more accurately, like a conglomeration of Great Britain and Ireland.) And it's right across a narrow straight of ocean from a much larger, more diverse continent, just like Great Britain. Yet Martin has said that "Westeros is much much MUCH bigger than Britain. More the size (though not the shape, obviously) of South America, I'd say." And though all Seven Kingdoms share a language, the so-called Common Tongue, they're extremely diverse in terms of ancestry, history, culture and religion -- almost as diverse as Europe. So we decided to assume that Westeros is Europe, and go from there. Another tricky issue has to do with history. Martin drew from the Middle Ages, broadly speaking, in limning out his fantastical world, but the Middle Ages lasted a long time. Between the fall of the Roman Empire and the discovery of the Americas, the various countries of Europe changed a great deal. And many of them didn't exist in anything like their modern form for much, or even any, of that period. So for simplicity's sake, we decided to refer to countries in terms that reflect modern-day boundaries, but also to pull from many different points in history when deciding what country to assign. With no further ado, here's a map illustrating our findings; scroll down to find out the reasoning behind individual picks, arranged from south to north. But hey! This whole thing is totally subjective. So if you disagree with the countries we picked, say so in the comments! *NOTE: HuffPost divided the map by houses, but technically the Seven Kingdoms are: The North, The Mountain and Vale, The Isles and Rivers, The Rock, The Reach, The Stormlands and Dorne. This one is pretty obvious: Martin has all but said that Dorne is Spain. The country's landscape is much drier and rockier than most of the rest of the continent. And the Dornish, like the Spanish, are descendants of people from multiple continents, who are noted, like Moorish Spaniards, for their liberality and tolerance. And their food is spicier and more exotic than most of the food in Westeros. The home of House Tyrell is, like France, a vast and fertile land, with a more pleasant climate than much of the rest of the country. It's home to an island called The Arbor that, like the French regions of Burgundy and Bordeaux, makes what is widely considered the best wine in the world. The city of Oldtown is the biggest and most sophisticated in Westeros, much as Paris was for some time the biggest and most sophisticated city in Europe. And the inhabitants of The Reach are invested in chivalry, art and culture to a significantly greater extent than those in the rest of Westeros. You could also argue that Margaery Tyrell is the closest thing Westeros has to its own Anne Boleyn -- who, though English by blood, was mostly raised in France. We actually don't know all that much about The Stormlands. Even though several scenes are set in or near Storm's End, the ancestral home of House Baratheon, we haven't gotten a glimpse of the rest of the kingdom. But we know that it's small, that the terrain is rough and green and that that weather tends toward the rainy. Much like Wales! There's also a royal connection: House Baratheon is (nominally) the ruling family of Westeros, and the heir to the throne of Great Britain and Northern Ireland goes by the title "The Prince of Wales." I mean, duh, right? What else could it be? The most important fact about the geography of The Westerlands is that the land is very rich in gold. Its abundance is what made the Lannisters the wealthiest of the Great Houses. England doesn't exactly have that same reputation, though Ancient Romans did mine a significant amount of gold there. That said, the English, like the Lannisters, rose to power largely on the strength of their economy; that's what allowed them to become, for several hundred years, the most powerful country in the world. The Westerlands is also home to one of the great ports of Westeros, Lannisport, which makes the region more focused on maritime trade than some others. Further evidence can be found in the Lannisters' rivalry with the Tyrells and the Starks, which echoes England's historical rivalry with its southern neighbors in France and its northern neighbors in Scotland. Some have argued that the real-world analogue closest to the Riverlands is the Low Countries, on the basis of geography -- both are wet and lie between several more powerful lands. But the history doesn't match up at all. The people of the Riverlands are nothing like the trade-focused Dutch. And the equivalents of financial centers of Amsterdam and Antwerp are to be found in Essos, not Westeros. What really marks the Riverlands is its lack of self-rule and the bloody battles that have been fought on its terrain. These are traits the region shares with the war-torn Germany of Medieval Europe. Germany was ravaged by the brutal Thirty Years War in much the same way that the Riverlands is ravaged by the War of the Five Kings. And just as Germany didn't really develop a real cohesive national identity until its unification by Chancellor Otto Von Bismarck in the 19th century, The Riverlands wasn't actually one of the Seven Kingdoms; before Aegon's conquest of Westeros, it was ruled by House Hoare of the Iron Islands. The best evidence here is inherent in the geography: The Vale is home to the craggy Mountains of the Moon, which are the closest thing Westeros has to the Alps. In addition, the Knights of the Vale have, at least through the end of "A Dance with Dragons," taken no part in the wars that tore Westeros asunder after the death of King Robert -- it's been sort of a neutral territory. The Switzerland of the Middle Ages was, it must be said, hardly pacifistic, but the country is so well known for its neutrality today that it's hardly a stretch to suspect that Martin thought of it when he was developing the Vale. We're not talking about the Norway of today, here -- the Iron Islands isn't a rich, peaceful country obsessed with Karl Ove Knausgaard. But Martin has said many times that the Ironborn, with their penchant for longships and raids, were inspired by the Vikings, who were based in Scandinavia. The rocky terrain of the Iron Islands is far closer to that of Norway, with its fjords and archipelagos, than to fertile Sweden or Denmark. This one is implied by the position and shape of the North, which is oh-so-close to Scotland. The Northerners, like the Scottish, share many traits with their southern neighbors, but also have some crucial differences in terms of religion, culture and genetics. Just as Scottish culture is vivified by the region's ancient Celtic history, Northern culture is vivified by the region's descent from the First Men. The North also shares Scotland's independent streak, its historical disdain for outsiders and its cold weather. The best evidence against the identification of The North and Scotland is the location of The Wall, which is clearly inspired by Hadrian's Wall between England and Scotland. That implies that Scotland is actually the part of Westeros beyond the wall. But Hadrian's Wall was built long before the Middle Ages, when Scotland was dominated by the relatively savage Picts. After the Norman Invasion, Scotland was quite closely tied with England; though it wasn't always ruled from London, neither is The North always ruled from King's Landing. The case for this one rests largely on geography; Greenland is as cold and vast as the lands North of the Wall, and just as mysterious to the people who live further south. Culturally, the people living beyond the Wall are so distant and backwards that they had little connection to the rest of Westeros. Just as Greenlanders had little connection to Europe in the Middle Ages. The analogy isn't perfect, of course: Greenland was settled by Vikings, and, as far as we know, the Wildlings are not descendants of the Ironborn. It also raises the question of the real-world equivalent of the White Walkers. Maybe polar bears?